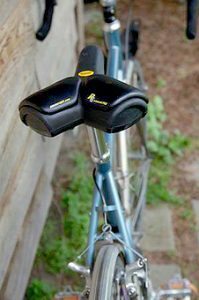 “Dear Mr Kenney, Thank you so much for designing such a marvellous saddle – I am absoluted delighted with my Rido R2 and would not hesitate to recommend it to others who are struggling with seat comfort. 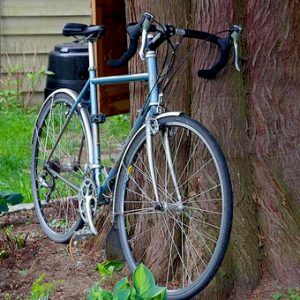 Previous to buying my Rido, I had had several years of tedious discomfort, and had tried out numerous saddles, none of which turned out to be satisfactory. I was becoming quite disillusioned with the seat problems. Then, in desperation I did a google search for comfortable bike saddles, and came across your web site. I read the reviews and decided to order one. I thought the price was reasonable, and the saddle arrived by post the following day. I bravely followed the advice to try it straightaway on a longer run, and was immediately pleased with it. Since then I have not looked back. As soon as I took my first ride on the new saddle, I could feel the difference in terms of pressure shifting. I have since stopped wearing padded shorts. “I do consider myself a bit of a saddle expert since I have suffered from a 20 year prostate disorder that almost put me off the bike. I’ve ridden through the troubles and have experimented with many saddles. When my condition was really bad I had to ride the Spongy Wonder. As I’ve improved I’ve settled on the Specialized Avatar or Alias in 155 cm width. “I am delighted with my R2 saddle.. I am new to biking and mid life crisis, time to get outside comfort zone , help others saw me sign up for The David Livingstone Bi Centenary Bike Ride in Malawi run by EMMS charity for Mulanje Mission Hospital. Challenge is 250 miles over hilly terrain over 5 days in May2013. “I have had this saddle for nearly three years, having been in despair thinking I would never find anything comfortable. I have a box full of barely used rejects in my garage. 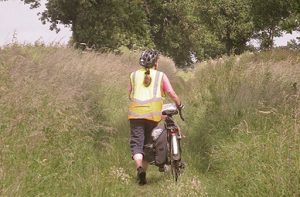 I had promised my husband that I would accompany him on his John O’Groats to Land’s End ride in 2010 and saddle comfort was the one issue which would have scuppered the project. “I ordered R2 saddle and I must say that I am very pleased with it. I use my bike only for practice and it shown very good because I don’t have problems with asleep of my soft tissue. The only thing I would change to make riddo saddle perfect is that I would make nose little thinner than it is now and little more slippery but I have to say that for me working even as it is now and I don’t have problems to seat on my bike anymore. “I can provide charted data if needed but I thought I’d start with a brief line or two. I have been dealing with elevated PSA levels for a few years. I have always been convinced this was due to cycling as I experienced serious discomfort whenever I rode. The doctors were dismissive and unhelpful. Then I discovered Rido. I purchased an R2 in 2010 for my commuter bike. I liked it and could tell it would be comfortable on longer rides. This year I decided to conduct my own little experiment. I rode only my commuter bike with the R2 for the 30 days prior to taking the PSA blood test 3 weeks ago. The results, while not conclusive, are dramatic. My PSA dropped from 5 to 2.8. I took a back up test last week and it had dropped another tenth to 2.7. I plan to provide this data in charted form to my doctor and I will insist it be considered as a part of any further treatment. I just purchased an R2 for my touring bike. “As hoped, my latest PSA results confirm the R2 has lowered my PSA score. Miles ridden increased yet the PSA score continues to trend downward. But I want to also emphasize, I have never been comfortable on a bike until now. The R2 has made bike riding the joyous activity it should be for everyone. My bike feels solid under me and I now look forward to every ride. Please let me know if you have any questions. RIDO R2: Freut mich, dass sich jemand des Themas annimmt. Für mich ist es seit Jahren auch ein Thema, weil ich eigentlich nie einen Sattel gefunden habe, bei dem ich restlos zufrieden war. Aber wahrscheinlich wird es immer ein bisschen Druck geben, schließlich lasten 90 kg Abtropfgewicht drauf. Für mich hat sich jedenfalls der Weg der Internetrecherche und des Experiments im Selbstversuch als einzige Möglichkeit erwiesen. Da die meisten “normalen” Sättel für mich alle gleich aussahen, und nicht restlos befriedigten, habe ich mich nach etwas anderen Alternativen umgesehen und einiges davon auch getestet. Problembereich war bei mir immer der Dammbereich, oder Schambereich, direkt zwischen den Beinen (jedoch nicht die Genitalien, bin männlich, Anm). Dann bin ich auf dieses Produkt gestossen, und habe es zu meiner grossen Zufriedenheit auch auf einigen 100km Ausritten dieses Jahr getestet. Auf diesem Sattel sitzt man an den Stellen, auf denen man Sitzen soll, nämlich direkt auf den beiden Sitzknochen und deren Polstern! Dazwischen ist nichts, was drücken könnte! As somebody with a sizable rear-end I’ve really come to appreciate this saddle. I’ve got it on a Thudbuster LT on my Moonlander and it’s fantastic! No more discomfort on long rides! Strida V5.1 / Strida ST-KS-002 Kick Stand / Strida ST-FP Red Frame Protectors / Akslen HL-42 Head light / Blackburn Mars 4.0 Tail light / FibreFlare Amber Side light / FibreFlare Red Tail light / 3M Diamond Grade Reflective / Stickers / Avid Speed Dial 7 Brake Levers / Ergon GR-2 Ergonomic Grips / MKS FD6 Foldable Pedals / Rido R2 Sports Saddle / Ibera SeatPak IB-SB2 Saddle Bag / Ibera iPhone Pak IB-PB3 + Q1 Mount / Cateye Micro Wireless Cycle Computer / Cateye Bike Bell / Zefal Tire Valve Caps / Zefal Spy Mirror. “This is a 2011 Salsa Casseroll, 56cm in ‘Vintage Blue’. 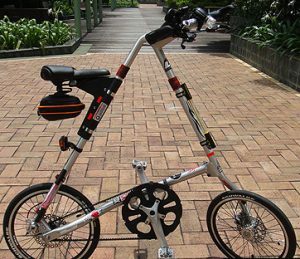 It was built up in January 2012 by one of the techs at Dream Cycles as his personal bike. “I started having problems around ten months ago, difficulty urinating, discomfort in a variety of seating, ‘burning’ sensations and impotence. My GP was less than interested in serious diagnosis, but some online research proved very informative.